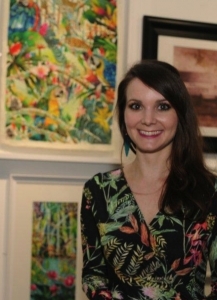 Kate’s work celebrates nature, fusing colour and imagination to bring to life the lushness and beauty of the natural world. 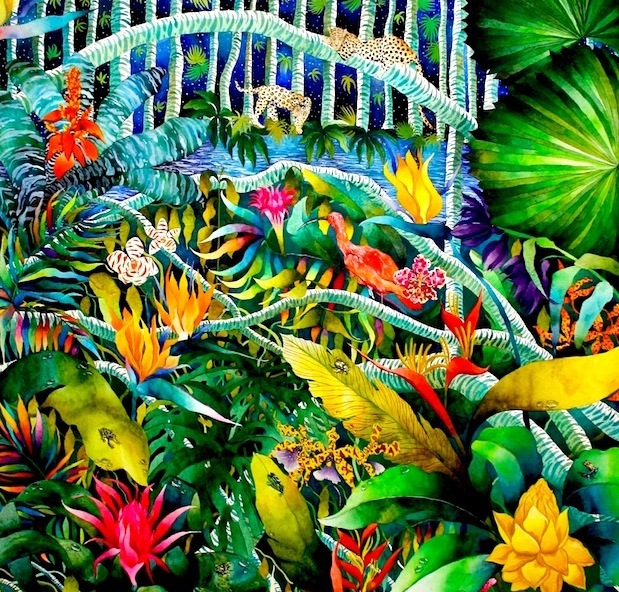 Her complex compositions portray the plants, animals and insects found in a variety of global habitats with increasing reference to indigenous and endangered species. 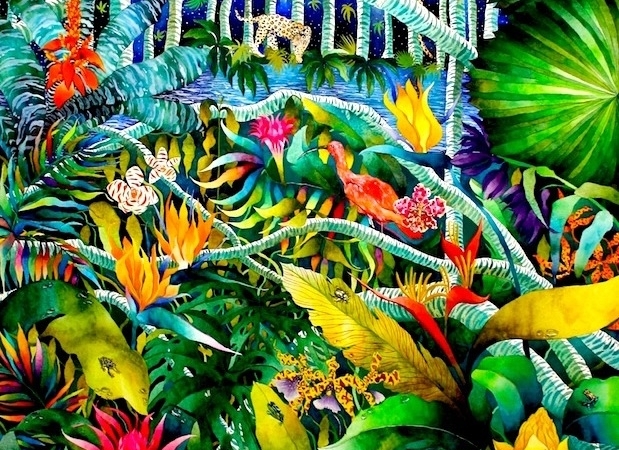 Whilst extensive research informs every painting, Kate imagines habitats and plant life from a new perspective, blending the real with the unreal. Kate’s work forms part of many international private collections.